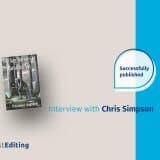 Because it’s so easy to publish these days, lots of authors launch their book as soon as they finish it without doing the work that will ensure success. Avoid this mistake and get five-star reviews on launch day by taking these five essential steps to success. 1. Know where your book belongs on the virtual shelves. Category: Are the books in the category you’ve chosen similar to your book? Will readers looking on that virtual shelf find yours compelling? You may have written a great book but if it’s shelved in the wrong category readers are likely to give it bad reviews. Cover: Is your cover similar to the others in that category with similar fonts and colors, photography, and graphics? Remember, it’s better to fit in than to stand out. Otherwise, your reader might subconsciously skip over your book. Description: Does your book description tell a similar story to the ones in your category? Pricing: Is your book priced competitively? Beta readers are early readers who will give you feedback on your book. When scouting beta readers, try to find people who love to read, who are in your target audience, and are not afraid to give you honest feedback. 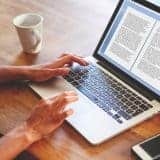 You can find beta readers in your personal, professional, and social connections, forums, and among friends and family. What is the incentive for someone to read and comment on your book? Many people are avid readers and hungry for free books. If you write nonfiction, you’ll find people who are eager to learn what you know. Recruit experts in your field to help crosscheck your facts or help with scenes. They may be thrilled to be mentioned in the acknowledgments. Keep in touch with your early readers, friends, and family. Tell them when you plan to publish so they can get your book reviews ready to post on launch day. Your goal is to start conversations so that when it’s time to send Advance Reading Copies (ARCs) they’ll already know who you are. Statistics show that books listed for preorder (listed for purchase as much as a year before publication) are much more likely to succeed. Smashwords founder Mark Coker, in a Publishers Weekly post, lists five reasons for this phenomenon. Some retailers let you set up “assetless” preorders so you only have to upload your cover and your metadata (keywords, book description, etc.). You can upload your final, edited manuscript a few days before launch, so this gives you lots of time for beta publishing, editing, and formatting. 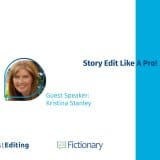 Most experts agree that editing and design are the numbers one and two items you should spend your money on if you want your book to succeed, with editing taking the lions share of your budget. Even if you’ve had your beta readers and your second-cousin-the-English-teacher comb through your manuscript you still need professional copyediting. I am not the only author who has suffered a loss of a star in a review citing copyediting errors. Spend at least a few hundred dollars with a proven designer who knows how your genre is trending. Begin these five steps early, even before you’ve finished your first draft, so that you have plenty of time to cultivate readers, perfect your story, and make friends with influencers. You’ll be glad you did come launch time. Carla King has helped thousands of authors prepare their books for publication with her Self-Publishing Boot Camp educational program of books, workshops, and online courses. FirstEditing’s JoEllen Taylor is a guest lecturer in the Publishing Freedom Course and we’d like to extend a special offer for 20% off the price of the course with coupon code FirstEditing20, or just click here to view the course and enroll with the discount automatically applied. Included is a 30-day money-back guarantee, lifetime access, a private Facebook group, and regular office hours with Carla and guests. For less than you probably spend on lattes, learn how to prepare your manuscript and your author platform without making so many of the mistakes most authors make. Here’s how we’re going to make sure you launch to five-star reviews and keep your freedom to publish with an agent and a traditional publishing deal, make a hybrid deal, or self-publish. Buy your own ISBNs so you don’t get trapped with a service that may prevent you from getting a publishing deal. Cultivate critique partners and early readers into fans and a street-team marketing machine. Do the research and market analysis that will help you position your book in the right category, price it, and develop your brand. Create a high-converting website and email newsletter so you can market directly to your fans. Self-edit using electronic tools and early readers before you invest in a professional editor. This course is a shortcut to preparing your book for rave reviews come launch time with a system used to teach hundreds of authors in one-on-one consultations, workshops, and courses.